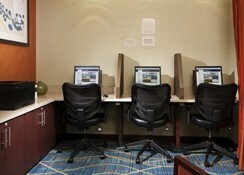 Orlando is all about the theme parks and major Disney attractions and the Fairfield Inn & Suites Orlando Celebration is a prime location from which you can explore everything the area has to offer. Disney Springs and Disney Hollywood Studios are less than 3 miles from the property while there is a selection of golf courses in the nearby area. This accommodation boasts rooms that can sleep up to four people and it is particularly suited to couples and families with children. 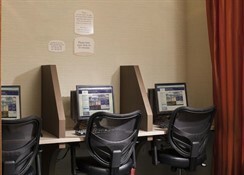 In addition to a host of on-site amenities including an outdoor poor and fitness centre, the Fairfield Inn & Suites Orlando Celebration also has a theme park shuttle and facilities to buy your theme park tickets at the hotel. 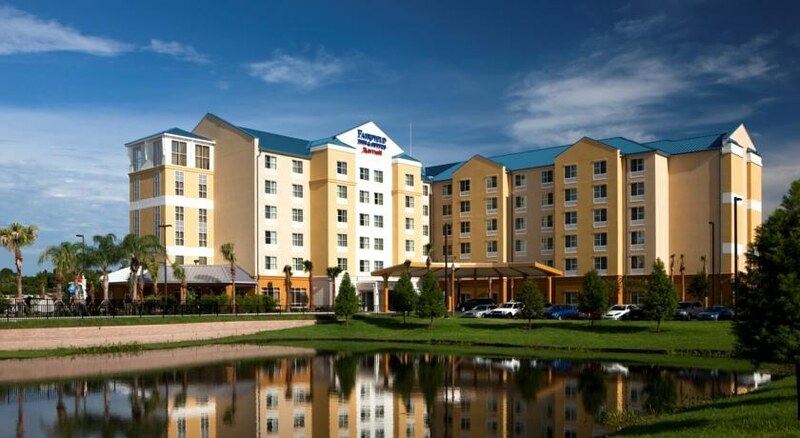 The Fairfield Inn & Suites Orlando Celebration is located in Kissimmee which puts it in a great place to explore the area. The Old Town Amusement Park is only 600 yards away while Disney’s Hollywood Studios (2.5 miles), Epcot (3.2 miles), Disney’s Animal Kingdom (4.2 miles) and SeaWorld (6 miles) are all close by. A little further afield you will find Walt Disney World and Universal Studios and there are also 2 golf courses within 2 miles of the property. The Orlando International Airport is 14.9 miles away. You can choose from three different accommodation types at this resort. King Rooms sleep two people and come with an extra-large double bed, King Suites with sofa bed can sleep three people while the Queen Rooms are able to accommodate four guests with two large double beds. 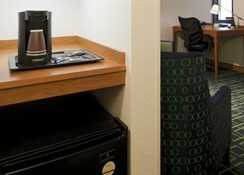 All the rooms have Wi-Fi, air conditioning, flat screen TV and tea and coffee making facilities. Guests can avail of the free breakfast at the hotel that offers a range of hot and cold options. 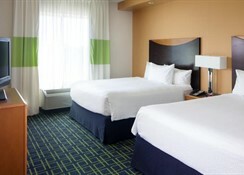 There are also a host of eateries in the nearby area such as the Golden Corral, Boston Lobster Feast and Waffle House. Go a little further and you can find Japanese restaurants and a variety of chain establishments too. 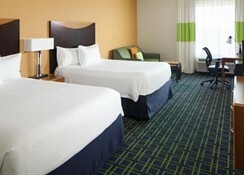 The hotel has an outdoor pool as well as a 24/7 fitness center. The Fairfield Inn & Suites Orlando Celebration is also close to a number of golf courses including Celebration Golf Club and Falcon’s Fire Golf Club where you can get 18 holes in under the Florida Sun. There are various shopping malls within reachable distance including Prime Outlets Orlando.